New York, NY (August 3, 2016) – Barry Sternlicht, Chairman and CEO of Starwood Capital Group, is pleased to announce the appointment of Hermann W. Elger as Managing Director of Baccarat Hotel New York and Chief Operating Officer of Baccarat Hotels and Resorts. In this role Hermann will oversee the day to day operation of the flagship hotel, owned by China Insurer Sunshine Insurance Group, and play a leadership role in the development of new hotels opened under the Baccarat Hotel brand in the future. 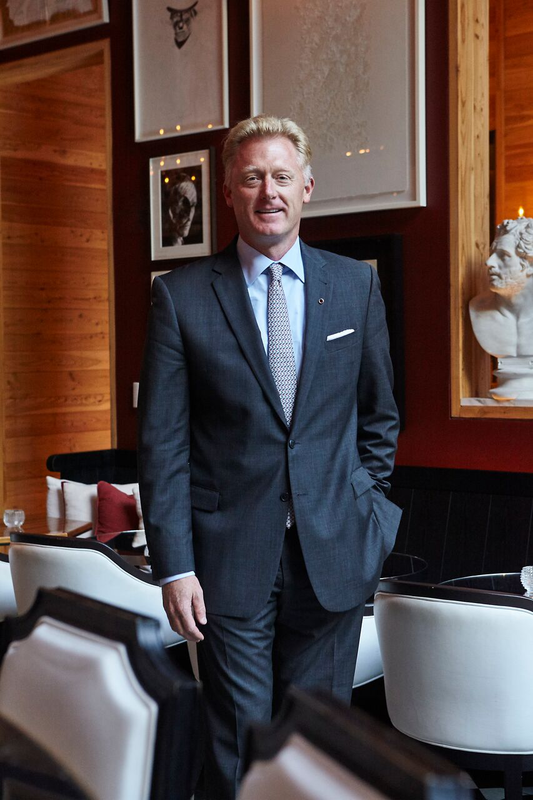 Before joining Baccarat Hotel New York, Elger was the General Manager of The St. Regis New York. In this role, he was responsible for all aspects of the property and operation, and worked to maximize the hotel’s profitability while focusing on the guest experience. Prior to this, he held the position of General Manager at the Montage, Beverly Hills, another distinct and luxury residential hotel project. During his time there, he oversaw all operations and management of the celebrated property, and was directly involved in the residential sales and management process. Under his visionary leadership, Elger raised brand awareness, enhanced positioning, and successfully reconcepted food and beverage offerings. Before Montage, Elger was with The Ritz-Carlton Hotel Company for nearly 18 years, where he quickly rose through the ranks to manage multiple luxury hotels around the world focused on service excellence. In addition to serving as Hotel Manager and then General Manager for The Ritz-Carlton, Cancun, Elger was Hotel Manager at The Ritz-Carlton, Key Biscayne. He played an integral role in the development of new hotels as Opening Team Leader for The Ritz-Carlton, Aspen Highlands, Philadelphia, Dubai and Kuala Lumpur. Elger also held positions around the globe as Assistant Executive Manager, Takeover Team Leader, and Director of Rooms Division. A native of Mexico City, Elger attended the University of Denver, where he received his B.S.B.A. in Business Administration and Hotel Management. From his humble beginnings as a Doorman for The Brown Hotel in Denver, Colorado, this second-generation hotelier has established himself as an accomplished and innovative leader in luxury hospitality. He was named Best GM in US and Canada at the 2016 Travvy awards, and American Express Fine Hotels and Resorts most innovative GM for 2016. During his time as General Manager of The Ritz-Carlton, Cancun he was named one of the 40 most influential leaders in Tourism in Mexico by the magazine Lideres.